Experience the authentic flavor of Malabar, Avil Milk which is a very healthy and delicious drink. 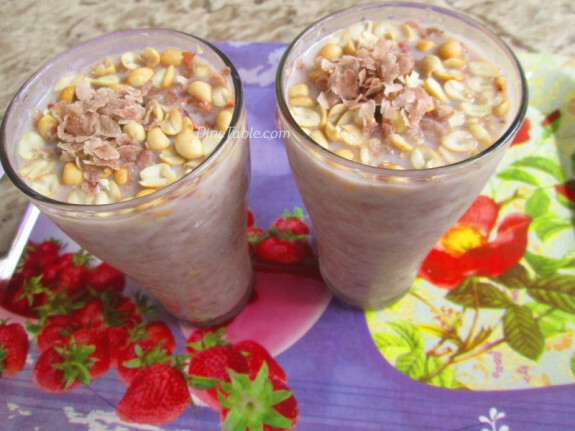 It is a very common drink sold in Malabar that surely satisfy your taste buds. 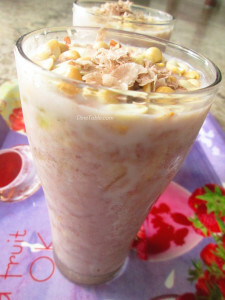 The main ingredients of avil milk is banana, milk, avil (roasted rice flakes) and peanuts. You can use poovan pazham or cheru pazham for best results. These ingredients itself makes the drink very rich and tasty, truly healthier. It will satisfy both your hunger and taste. 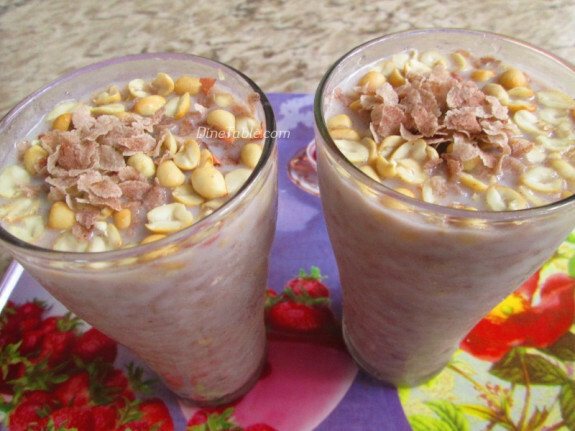 Hope you all try this delicious and healthy Avil Milk Recipe / അവില്‍ മില്‍ക്ക് / Malabar Recipe / Ramadan Special. Take a tall glass. Mash the banana with a spoon in the tall glass. Add sugar to it and stir well to combine. Add cold milk and mix well. Then add roasted rice flakes and peanuts. 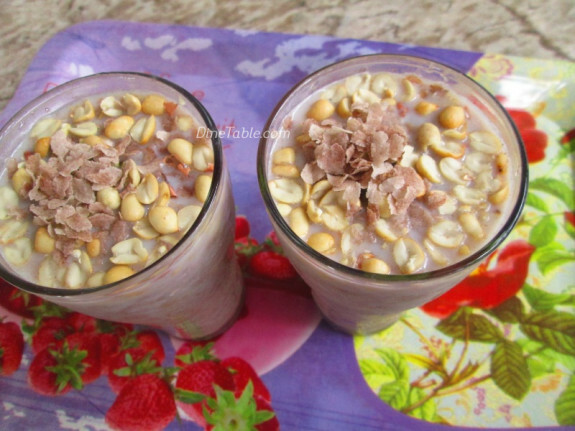 Garnish with roasted avil and roasted peanuts. Tasty Avil Milk is ready.